The Library has extended its opening hours and booked additional study spaces in Blenheim Terrace throughout the exam period to help you find a place to study. The Library gets busy during exams. If you are leaving your study space unattended for more than 30 minutes, take your belongings with you so someone else can use the space. Laidlaw Library will be open 24 hours a day from Monday 8 January until Thursday 18 January. Check the Library opening times for other libraries, and for opening hours after the exam period. There's lots of exam and revision support from Skills@Library to help you perform at your best. 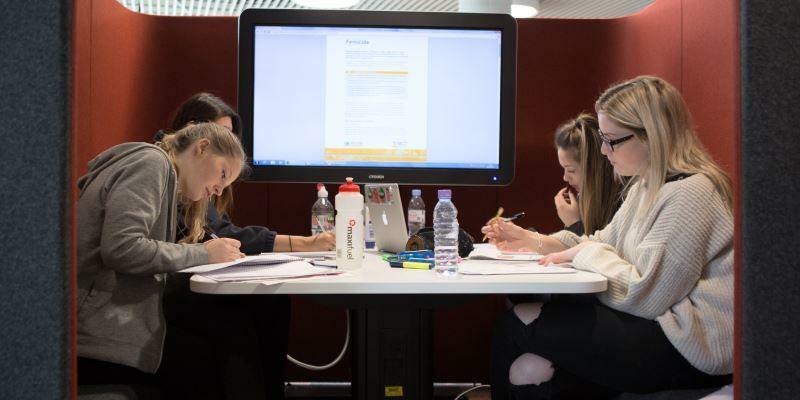 Get advice and tips from our revision and exams webpages, or arrange 1-to-1 support in Laidlaw Library with one of our advisers. You can tweet @UoLLibrary weekdays 9am-5pm with questions, suggestions or comments on any Library-related topic, and our team will do their best to help. We also tweet encouragement and advice from our Skills team. SCONUL access will be restricted during exams. Only staff and students of the University of Leeds will be able to use Leeds University Library sites, from Monday 8 January until Thursday 18 January. LUU has a programme of support activities to help you relax during the exams period.